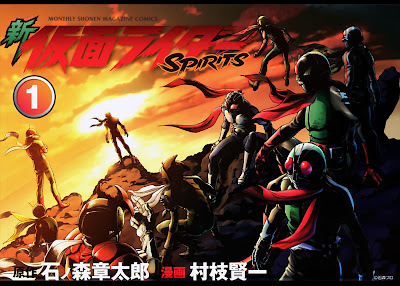 Kamen Rider SPIRITS (仮面ライダーSPIRITS) is an ongoing manga adaptation of the popular Kamen Rider franchise by Kenichi Muraeda. 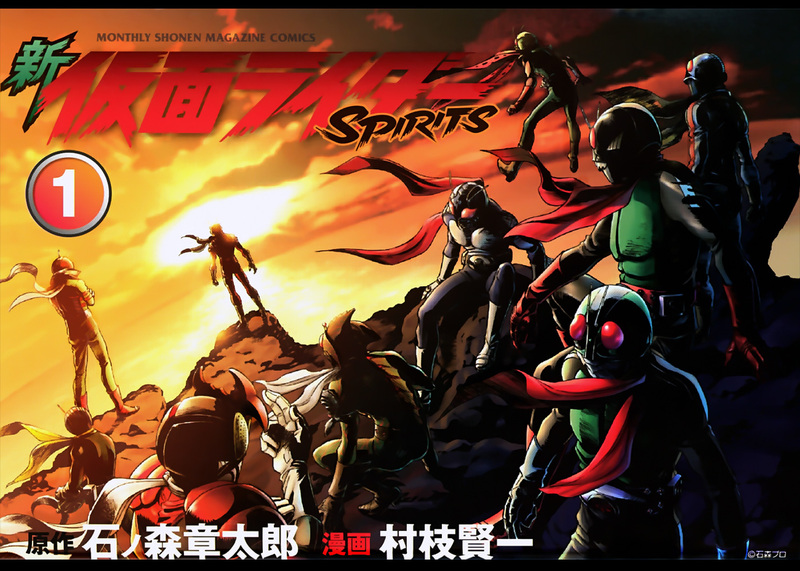 And recently, it's sequel, Shin Kamen Rider SPIRITS got scanlated by some guys from an anonymous group. Currently, Shin Kamen Rider SPIRITS Volume One Chapter One: Solitary is the only chapter translated. The first chapter covers the first encounter of Takeshi Hongo aka Kamen Rider #1 and Hayato Ichimonji before the latter was kidnapped by the Shocker and made into Kamen Rider #2. Hopefully, they will continue scanlating the first volume which have four chapters. "When the era needs it, Kamen Rider will surely revive."